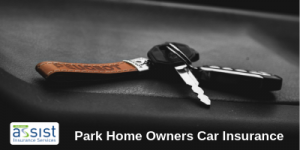 Did you know that as well as insuring your park home, you can also insure your car with Park Home Assist? 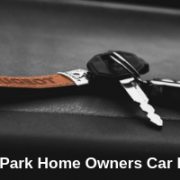 We are always looking at ways of helping our park home insurance customers and many of them asked if they could insure their cars with us too. We are happy to provide the best-value car insurance that we can and it’s exclusively for park home owners under the age of 75. We are also always looking to improve the insurance products that we provide and we’re pleased to offer some new benefits with our car insurance policies – these are our Uninsured Driver Promise and Dash Cam Excess Waiver. If you make a claim for an accident that is not your fault and the driver of the vehicle that hits your car is not insured, you will not lose your No Claims Bonus or have to pay any excess. In this event, we will need the vehicle registration number and the make and model of the uninsured vehicle, plus the uninsured driver’s details if possible. It also helps to confirm who is at fault if you can get the names and addresses of independent witnesses, if there are any. If you’re involved in an accident and you make a claim that includes evidence from a Dash Cam, we will waiver the excess, regardless of who is at fault. Please note that you have a specified period of time in which to supply Dash Cam evidence. We offer comprehensive car insurance with up to 5 years No Claims Bonus, unlimited windscreen cover, personal belongings cover and a courtesy vehicle in the event of an accident, as well as various other options. You can insure your car with us at any time – it doesn’t have to have the same renewal date as your park home insurance. Customers who insure both their park home and their car with Park Home Assist receive the same excellent customer service from the team in our Northampton office. They also have the peace of mind that if they do need to make a claim, they can rely on us to look after them and they love the fact that we understand the park home lifestyle and what it means to them. More information on car insurance for park home owners. 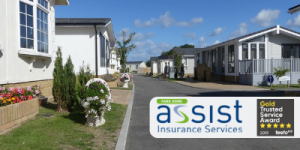 Brand new insurance policies now available for holiday lodges, leisure homes and static caravans. 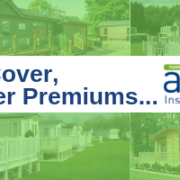 New for 2019 and exclusive to Park Home Assist, our insurance policies for holiday lodges, leisure homes and static caravans offer even greater value and enhanced cover. 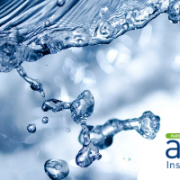 We’ve been specialising in leisure insurance for over 13 years and we have got to know our customers very well, so our focus is always on tailoring our insurance policies to best meet their needs. This means including all of the essential elements of our insurance cover as standard, while giving you the choice of the extras that you’d like to add – so you only pay for the cover you need. 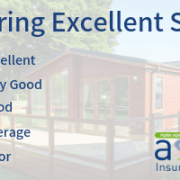 We review our insurance policies on a regular basis to ensure that we keep up with the demands of holiday lodge, leisure home and static caravan owners. Our new policies for 2019 take a big step forward as they provide enhanced cover at a lower premium. Combine them with our award-winning customer service and you wouldn’t want to go anywhere else. 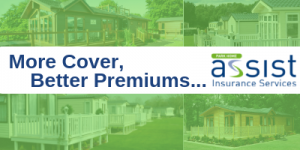 Our new insurance policies for holiday lodges, single and twin leisure homes and static caravans give you greater flexibility. They reflect the rise in the value of leisure homes as they have increasingly higher specifications and become more luxurious, as well as the changing ways that people now use their holiday lodges, leisure homes and static caravans. Here are some of the key additional benefits of our new insurance policies. Alternatively, call our Northampton office and speak to one of our insurance advisers on freephone 0800 988 0900. Retirement may present you with the opportunity to change your lifestyle. You can escape the routine and constraints imposed by your working life for something less hectic, more relaxing or more peaceful. You can decide to take up a hobby or pursue an interest that you’ve never had the time to do before. Many more people are now choosing to move to a different home when they retire – escaping to the country or a seaside location. Downsizing also reduces the responsibilities and costs of owning and maintaining a larger home, freeing up income and time for you to enjoy. A residential park could be the ideal place for you when you retire and a park home could provide you with a little bit of everything. What are the benefits of living on a residential park? Park home living offers a unique lifestyle choice, with a laid-back, quiet and relaxing atmosphere. It is growing in popularity and boasts great community living. Park homes are affordable to own, with furnishings and appliances already included. Maintaining your park home can be a lot easier than regular bricks and mortar, making it the perfect low-cost solution for retired people. There are social benefits too! You will be living amongst people of a similar age, who may have similar interests and the time to enjoy them. This is just one of many reasons to choose park home living. Independent living and a relaxing life. Living in a park home provides completely independent living and is nothing like living in a retirement home, as some may think. Many residential parks have a minimum age of 50 or even 45. You are living in a community and surrounded by people who are like-minded, not noisy or disturbing neighbours. You will be away from a town centre, so you are not situated in the middle of the normal hustle and bustle of town living, but close enough to just pop into town to go shopping or access the amenities if you want to. In addition, being closer to the countryside allows you to enjoy it much more easily. Location of your park home? One of the most important things to consider when choosing a park home is the location. Park homes can be in some really stunning locations, tucked away in the country or by the coast. You may want a home that has easy transport links to friends and family or one from which you can easily explore nearby places. Take the time to look carefully into different locations that may be suitable for your needs. What is security like in a residential park home? Some parks have security, CCTV and could even be gated to give you that added security. Where can I view park homes for sale? You can view park homes for sale on Park Home Search where you can also find a list of open days and weekends. On Park Home Search there are contact details for park operators and manufacturers, which you can contact directly, if you choose. Every park is different, so make an appointment and visit the park yourself. This gives you an opportunity to meet the residents and get some feedback, along with getting a good feel for the park and its atmosphere. Sit down and think about exactly what you are looking for. Downsizing can be a practical choice when choosing a new home for your retirement and can mark the beginning of a new phase in your life. A single storey park home could be the perfect home for your retirement, especially as your physical needs will change as you get older. Your dream retirement home will enable you to enjoy life and could also take care of your future needs, as well as any current preferences. It can significantly reduce your living costs and release funds, so you can really enjoy your retirement. 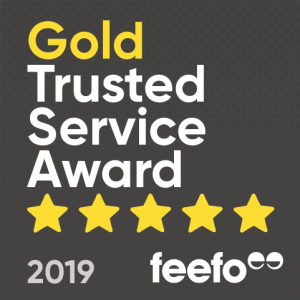 Park Home Assist is proud to report that we have been awarded a Feefo Gold Trusted Service Award 2019 in recognition for the excellent customer service we provide to our insurance policyholders. 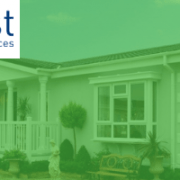 Park Home Assist Insurance have been providing specialist park home insurance cover for park and leisure home owners since 2005. We’re one of the largest providers of park home insurance in the UK and believe the reason for this is that we are a family-run business that believes in traditional values where customer service lies at the heart of everything we do. Every member of our team is dedicated to excellent customer service and providing each customer with the very best customer experience, from the moment you first ask for a quote, through to renewal. The Feefo Gold Service award is an independent seal of excellence that recognises businesses for delivering exceptional experiences, as rated by real customers. Those that meet the high standard, (based on the number of reviews they have collected, and their average rating), receive the award. A badge of honour, this accreditation remains unique, as it is based purely on the interactions with real customers. As all reviews are verified as genuine, the accreditation is a true reflection of a business’ commitment to outstanding service. Park Home Assist met the criteria of collecting over the required number of reviews between January 1st 2018 and December 31st 2018, with a Feefo service rating of between 4.5 and 5.0. To be recognised once again by Feefo for the service we provide to our customers is outstanding and this award is a true reflection of our commitment to customer service. 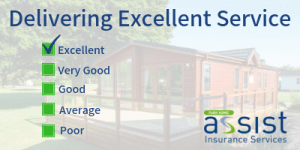 We are absolutely delighted with the Feefo awards and we would love to help you save money on your park home insurance renewal, while providing you with excellent customer service. Speak to one of our specialists today by calling 0800 988 0900. Take a look around our website for more information on park home insurance and holiday lodge insurance. To keep up to date on similar topics like this follow us on Facebook, Twitter & LinkedIn. At Park Home Assist we’re not just here to sell you an insurance policy, we understand that the purpose of your park home insurance is to help you out when something goes wrong. We are a family run business and the way in which we manage and settle your claim is one of the most important elements of what we do. We pride ourselves on our award-winning claims service because the way we deal with your claim is an opportunity to show you how good we really are and how important each customer is to us. Also, a true test of a policy’s quality is when you need it most – when you need to make a claim. Although you probably hope that you will never need to make a claim, your park home insurance is there in case you do. Experiencing a loss and having to deal with a claim can be quite distressing, so we do everything we can to resolve any claims or disputes in a timely and professional way. We try to minimise the inconvenience to you, so when things do go wrong, however big or small, our priority is to resolve your claim as quickly as possible. At Park Home Assist, we have two dedicated Claims Co-ordinators, Tina Brown and Valerie Kearney, who ensure that your claim is managed throughout and progresses as efficiently as possible. 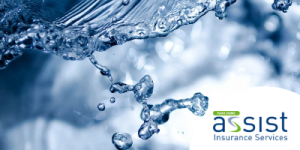 This includes helping you to compile the information and evidence needed for the claim, liaising with loss adjusters and contractors, and keeping you informed. Tina and Valerie will always go the extra mile to ensure that our customers are satisfied with our service. This is evident in the feedback we receive from customers who have had to make a claim. Below are just a few short examples of recent claims made by our customers along with their feedback. A policy holder returned from a three-week holiday to discover a leak in their roof. Water had leaked through into their lounge area, causing damage not only to the ceiling, walls and floors, but also their carpets and curtains. Whilst the leak in the roof was not covered, the policy holder had a contractor out to repair the roof straight away. Because the policy holder had taken out the Accidental Damage cover on their property, the internal damage was covered by their park home insurance. The contents of the home were removed to safe storage, the policy holder stayed in alternative accommodation while a contractor visited the home and repaired all the damage. Everything was returned with no issues and we received the following feedback. Customer service is at the heart of what we do. It’s important to our customers, and to us, especially when you need to make a claim. Our award-winning claims service demonstrates our commitment to delivering excellent service when you need us most. For further information see details on how to make a park home insurance claim. To keep up to date with topics like this, please follow or like us on Facebook, Twitter & LinkedIn. The lucky winner of the Free Park Home Assist Christmas prize draw has been announced. 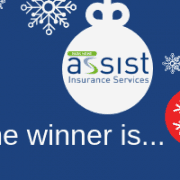 This year Park Home Assist Insurance Services launched a Free Christmas Prize Draw to give away a £250 Waitrose/John Lewis Voucher to one lucky park home owner, just in time for Christmas, with the hope that the prize went some way to pay for Christmas for the lucky winner. The prize draw was launched in October and we had an extremely large response, so thank you for all those who entered. Entering was really easy and all that entrants had to do was go onto the Park Home Assist website to submit their entry. 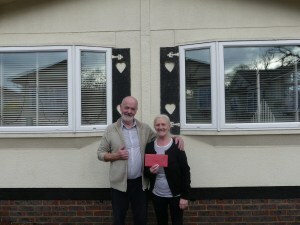 Congratulations to the lucky winner Mr Kinneavy from Surrey, who you can see pictured here with his wife. Claire Leech (Director of Park Home Assist) and Dave Tranter, (Business Development Manager) personally visited Mr & Mrs Kinneavy at their home at Rickwood Park, in Surrey to personally deliver the good news and hand over the winnings prior to Christmas. 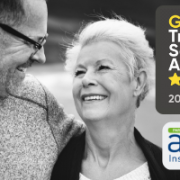 Mr Kinneavy was absolutely delighted to have won and stated that they were both really impressed with the service levels at Park Home Assist and that they will be joining us again in July, when their Park Home Insurance is due for renewal. Thank you to everyone who took part in our Christmas prize draw and we hope you had a great Christmas, and congratulations to Mr & Mrs Kinneavy, we hope that you found a use for your £250 vouchers! With the year drawing to an end, we are beginning to start work on a very exciting 2019. 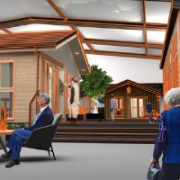 Our team has spent the last few months developing designs for a new range of park homes and holiday lodges. To adequately showcase the innovative and ground breaking new ranges, the decision has been taken to renovate the Tingdene Visitor Centre. The centre, launched in 1984, is the only indoor park home and holiday lodge showroom in the UK. Few big changes have been made since it opened its doors over 30 years ago making this a very exciting time in Tingdene’s development. Works on the Visitor Centre will begin on Monday 3rd December making this the perfect opportunity to view the current range of homes on display before they are sited in various locations around the UK. The Kensington, Country Lodge, Mackworth, Regency Classic, Hayden Classic, Savannah and Barnwell are all open to the public until then. Following the 3rd December the Centre will continue to be open with 4 homes being available for viewing outside of the main exhibition. We will continue to invite all of our customers to the Centre during the renovation works and the sales team will be available to provide information and help during normal opening hours which are listed below. We appreciate your patience during this transitional period and look forward to inviting you all to the new park home and holiday launch event in February 2019. Now that the days are getting shorter and the weather is getting colder, the focus shifts from al fresco dining to cosy nights in! Autumn and winter can still provide great opportunities for relaxing and enjoying your park home, whether it’s pub lunches, countryside walks, wildlife spotting or a bracing stroll along the beach. Now’s a good time to plan ahead and take a few precautions to ensure that your park home is protected against the winter weather and still provides a cosy retreat. Taking these simple steps could help to avoid the stress and hassle of having to make an insurance claim. It is also worthwhile saving your insurance provider’s contact details on your phone in case of an emergency. 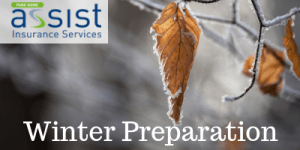 Wrap up well and stay safe and warm this winter. As we approach the winter, the risk of damage to your park home from frost and ice increases. 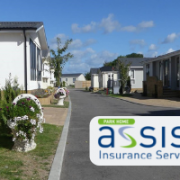 It is therefore very important to be aware of any conditions of your park home insurance policy, especially if you are spending less time at your park home. 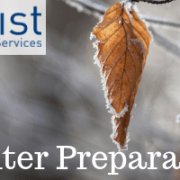 If your park home is unoccupied for more than 48 hours during the period between 1st November and 31st March (both days inclusive) to reduce the risk from escape of water, and in order to fulfil policy conditions, we recommend that you drain down the entire water system as a precaution to prevent freezing and any potential damage this may cause. If your park home has a sealed heating system containing antifreeze, then the heating system does not need to be drained down, but antifreeze levels must be checked annually and particularly prior to a period of unoccupancy. However, you will still need to turn off the water supply and drain the water system. When can the water supply remain on? When the entire home benefits from a heating system (either gas or oil-fired central heating, a geothermal or full electric system – not night storage heaters), which is fitted with automatic controls and a separate thermostat. The system must be set to operate continuously for 24 hours of each day (not controlled by a timing device) and the thermostat set to not less than 13 degrees Celsius. In addition, all internal doors must remain open throughout the park home and where fitted, the loft hatch must be left open. When your park home has either a gas or oil-fired central heating system, a geothermal or full electric system and it is fitted with a ‘frost stat’ that is designed and installed to override all the heating controls, irrespective of their functional status, then this must be set to operate at no less than 4 degrees Celsius. If you leave your park home without an occupant for 60 consecutive days or more, then you must ensure that a responsible person is appointed to supervise and check the property both internally and externally at least once every 30 days. In addition, when the park home is left without an occupant for 60 consecutive days then valuables are excluded from your park home insurance cover. If you have any queries about the conditions of your park home insurance policy, then visit our park home insurance FAQs page, see our park home insurance policy booklet or call our customer service team on 01604 946 722. For more tips on park homes and to keep up to date with park home related news, please follow us on Facebook, Twitter & LinkedIn.